To provide the platform wherein students, academia ,industry magnets and leaders from all walks of life come together and share ideas. To be committed to forging a long-term symbiotic relation between the institution and the industry. To strive to inculcate particular skills by bringing the students in closer contact with the corporate world. To provide plenty of opportunities to the student community at SIBM -Hyderabad to test their business acumen through live projects offered in various domains. To make our students a industrial visit once a month by coordinating with companies. To collaborate with the PR team to create an exclusive web page for the CIC club which would contain all the happenings of the club and make available all the information at the perusal of the students. Apart from SymbiTalks, to start a new flagship programme in Symbiosis known as TEDx- SIBM Hyderabad where all the ted speakers will come and motivate the students of SIBM Hyderabad in life so that they can achieve success in each and every field of life. To organize a Business Fest in the college where students of different colleges will participate in different events of the fest. To organize the 1st HR conclave of SIBM-H.
To ensure that the budding managers will stay in touch with the real world, while honing their skills in the classrooms. 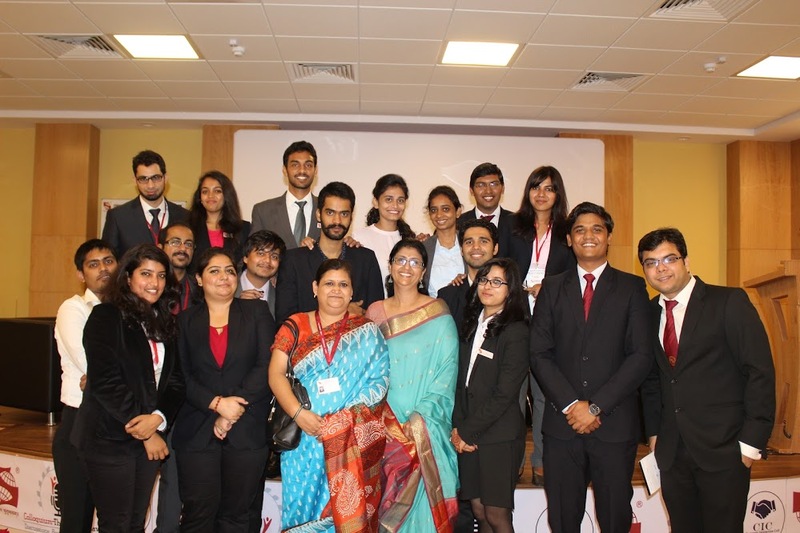 To allow the students to have a first-hand experience of the business issues faced by the organizations. To coordinate with the Training & Placement Team regarding industry exposure to the students of SIBM-H.
To interact not only with industrial experts but also with pioneer leaders from different backgrounds. To participate in different corporate and business fests of the colleges so as to gain exposure and experience. To prepare students with SIPs and the Final Placements by coordinating with Training & Placement Cell. 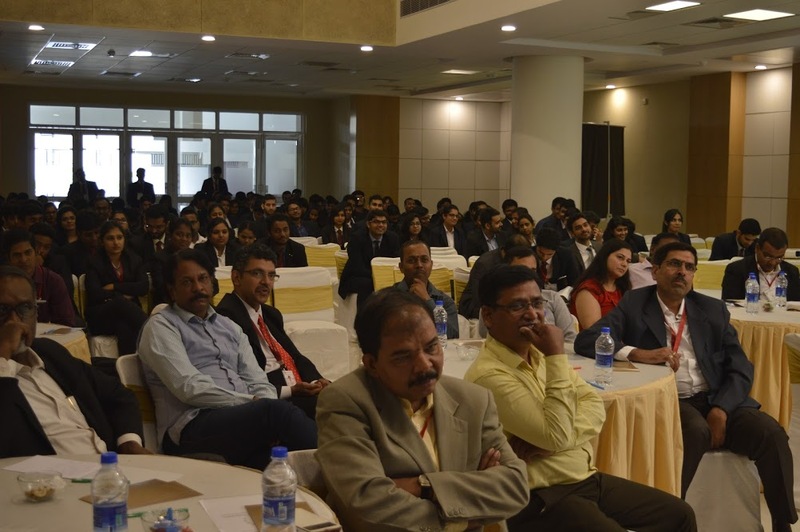 Corporate Interaction Cell (CIC) of SIBM H has conducted “COLLOQUIUM: HR Conclave” at Hyderabad campus which was a two-day event, with 16 HRs from renowned companies to converge and deliberate on a range of topics. It was a moment filled with pride to have Dr. T.V Rao, Founder and Father of NHRD, as the Chief Guest for the event. Mr. Sushanta Ganguly, VP and Head – Corporate HR of L&T Metro Rail Ltd, Hyderabad, graced the event as Guest of Honour. Day 1 of the even, first session of the day. Mr.Sushanta Ganguly, commenced the event he gave us a reality check about what the industry expects. 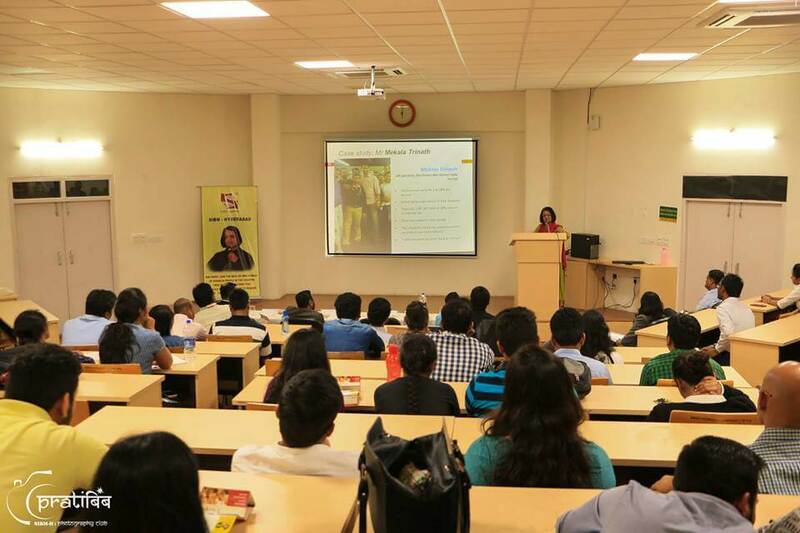 Then, we had Dr. T.V Rao, who spoke about how “To make a Difference”, the third speaker of the day was Ms. Pratyusha Sharma, Senior Director – HR, Cognizant; who spoke on “Employee Engagement: As a Strategy”. Then we had Ms. Vanita Datla, Vice Chairperson and Managing Director of Elico, who spoke about Women Empowerment, the discrimination and the problems women face during their careers and also in their personal lives. The Final speaker for the day was Mr. Aniruddha Dasu, Global HR Operations Head of Virtusa Polaris. He spoke on “Importance of Performance Management System, fairness and transparency to retain employees”. Following the Speeches, we had two very interesting and engaging Panel Discussions, one with the Guest Panellists who were HR Professionals and one with our own students. The Guest Panellists included Mr. Sunil Deshpande (VP – HR, Reliance Jio), Mr. Heinzsten R Peter (Senior Manager – HR, Volvo), Ms. Aparna Reddy (Associate Director HR, Talent Acquisition, and GVK Bioscience) and Ms. Pratyusha Sharma (Senior Director – HR, Cognizant). The theme of their panel discussion was “Women Empowerment: Focus on Women in Communication; remove the concept of “Glass Ceiling Effect” and Equal Pay for women till 2020. The second Panel for the day included, Ms. Khyati Mishra, Mr. Himanshu Satpute, Ms. Ananta Razdana, Mr. Prateek Agarwal, Ms. Debarpita Das and Mr. Waste Omar Khan. The panel had impressed all of the HRs, who was a part of the audience. The theme for the student panel discussion was “In Pursuit of a Strong Performance Management System”. Both of the panels were moderated by Ms. Praia Iyengar, Corporate Lawyer and Arbitrator, Founding Partner, Compass Law Associates. Day 2 of the event started with great enthusiasm. The first speaker on Day 2 was Mr. Anand Pillai, Managing Director of Leadership Matters Inc, who spoke on “Disruptive HR Technology and their impact on Business and People”. The second speaker for the day was Mr. A.M Rao, VP Corporate, Satyam Ventures Engineering Services Pvt Ltd. He spoke on “Relationship between Corporate Culture and Employee Satisfaction Level”. The third speaker for the day, Mr. Amit Pandey, Senior Director, VP, Head – Procurement, SCM, HR, and Admin, Tikona Digital Pvt Ltd, spoke on “Campus to Corporate”. The final speaker for the day was Dr. Suresh Kumar K, VP HR of Aurobindo Pharma. He spoke on “Employee Relations: Imperatives”. Day 2, first panel discussion consisted of Guest Panellists, who were Mr. Raghava Avvari (Deputy General Manager HR, IBM), Mr. Emmanuel Gosula (Head – Resource Development, EPAM), Mr. Ramesh Mantana (Senior Business Partner HR, Infosys) and Ms. Priya Iyengar (Corporate Lawyer and Arbitrator, Founding Partner, Compass Law Associates). The theme of their discussion was “Invention with Purpose: Channeling personal passion into work to get maximum outcome; Smart Placement of Employees according to their personal passion”. The second panel discussion consisted of student panellists ; Mr. Sheikh Muhammad Taahir, Ms. Sowmya Vadlamanati, Mr. Pranay Rajani, Ms. Sana Nazneen, and Mr. Achal Shah. The theme of their discussion was “Evolving Roles of HRs in the Contemporary World”. ISR activities remind us of our duties towards the society. “Gives us the opportunity to develop the society, not just by infrastructure but also by giving a better standard of living to all. “To become socially responsible individuals”. To make the world a better place to live and save the resources for the future generations and improve the standard of living of the poor by providing them education assistance, employment related assistance etc. To create awareness among the poor and illiterates about various education programs by conducting various presentations. 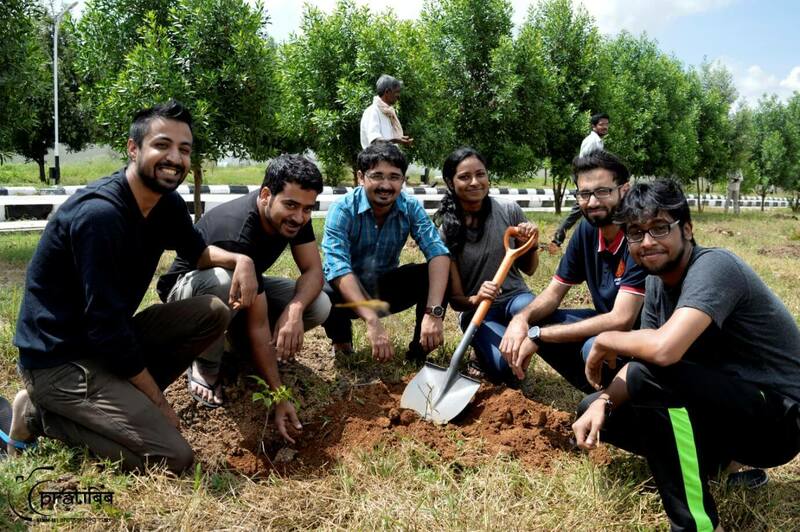 Environment conservation has always been one of the major concerns in the century. Here at Symbiosis Institute of Business Management, Hyderabad we believe in taking small steps and doing our bit towards conserving the environment. On 8th October 2016, the President and Vice President of The Federation of Telangana and Andhra Pradesh Chambers of Commerce and Industry (FTAPCCI) along with our Director, Dr. Ravi Kumar Jain and Deputy Director, Dr. K.P. 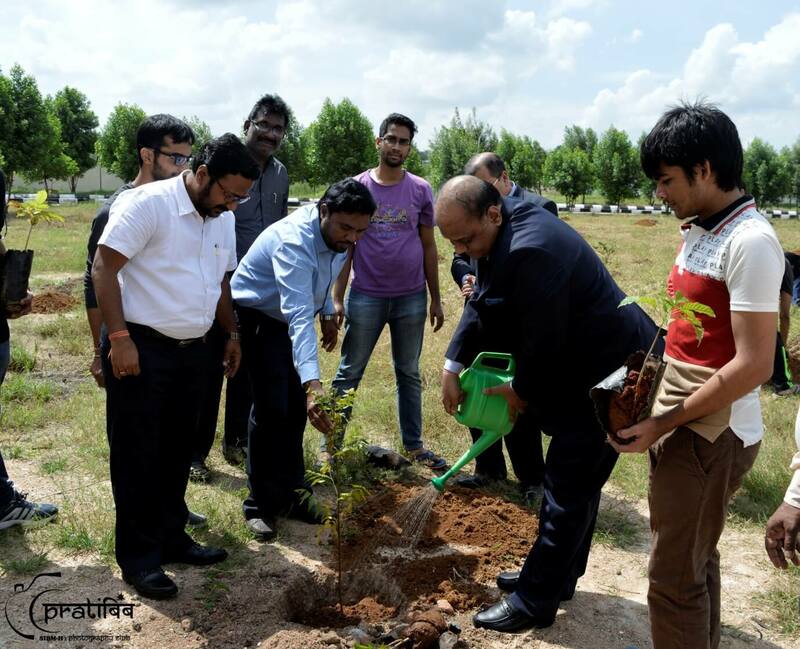 Venugopala Rao and other faculty Members and students of SIBM Hyderabad planted sapling of 150 trees in the campus premises. Every great event starts with organized minute details and ends with their brilliant execution! We want to create memorable and successful events that delight the senses. We approach all events with dedication, creativity and the flair to serve to the highest professional level. We are committed to providing outstanding facility usage to academic groups and the university community for educational, recreational, religious, and civic or socials interests while ensuring that such use will foster the mission of the University. We strive to be a strategic partner by providing exceptional event management skills and services. To synchronize all the events that take place in the college. To ensure smooth working of all those events. To organize each event with innovative and fresh ideas. 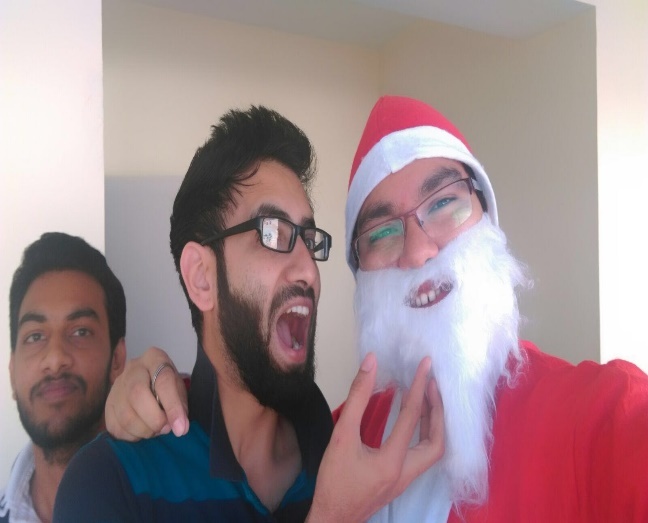 It wasn’t the usual morning sunrise in the Symbiosis hostels on 24th December 2015. 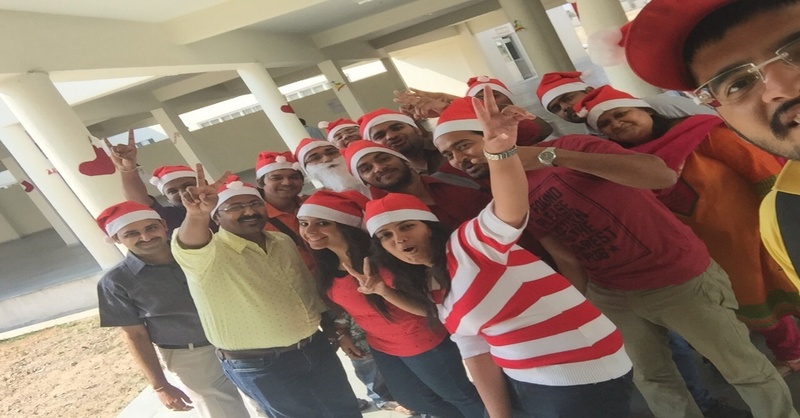 While everybody was jogged up in their normal morning routine, we had a surprise visitor: Mr. Santa Clause! 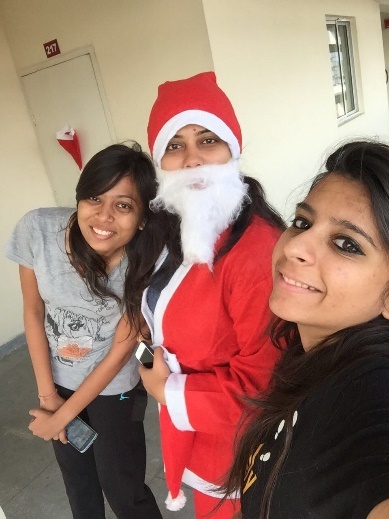 The Santa dashed into all the hostel rooms, catching the students by surprise. As if that was not enough, the Organizing Committee had come up with an out-of-the-box idea: Stuffing up Santa caps with chocolates and hanging the caps outside each room. 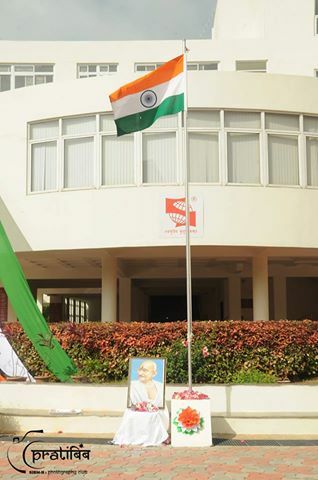 The 70th Independence Day celebrations at Symbiosis International University - Hyderabad kicked off by the students of SIBM Hyderabad presenting a medley of melodious patriotic songs. The students showcased their talent and sang with passion moving the crowd to a realm of national pride. 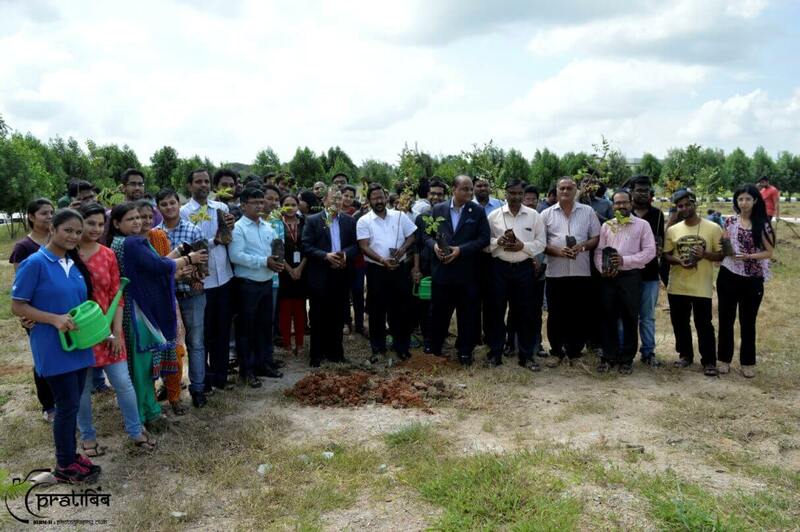 The Directors of SIBM and SLS Hyderabad, Dr. R.K.Jain and Dr.M.I.Baig along with the other faculty members conducted a small Puja in his honour. This was followed by the traditional Flag Hoisting Ceremony. 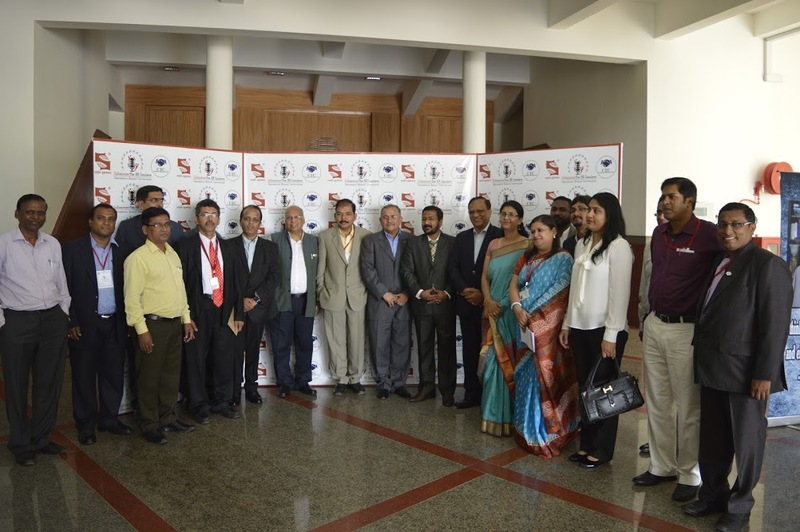 To communicate the presence of SIBM-Hyderabad through various media sources. Using the student activities to send a message signifying the presence and essence of SIBM-H.
To make sure SIBM-H is well renowned and has a presence amongst the elite. To be on par with the best colleges. To increase the following on social media. To have a setup in place for all social media platforms. To be active on all platforms and set a trend for the future batches to follow on. 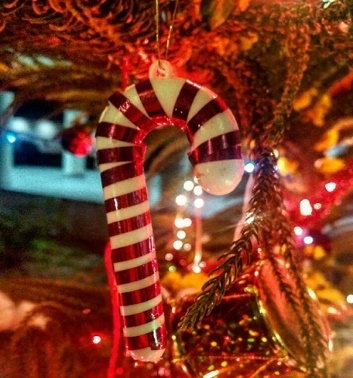 To start and maintain the college blog. To come up with more ideas and initiatives to engage student participation. To have events and competitions. To be on the list of every college. Furnish the students with appropriate professional skills and guide them towards achieving bright future and career in various industry sectors with values like dedication, hard work and sincerity. Successfully training the students on the basis of industrial needs and providing best of placement opportunities to every student at SIBM-Hyderabad. To achieve 100% quality placement. Organizing training sessions in making the student community employable and to meet the corporate expectations. Promoting career counselling through guidance lecture programmes by suitable corporate representatives. To have the most active and the smoothest website in terms of content and information. To be the most user friendly and visited website in the country. To keep the college website updated. SIBM-Hyderabad is dedicated to create a friendly atmosphere between seniors and juniors and create bonding between themselves. 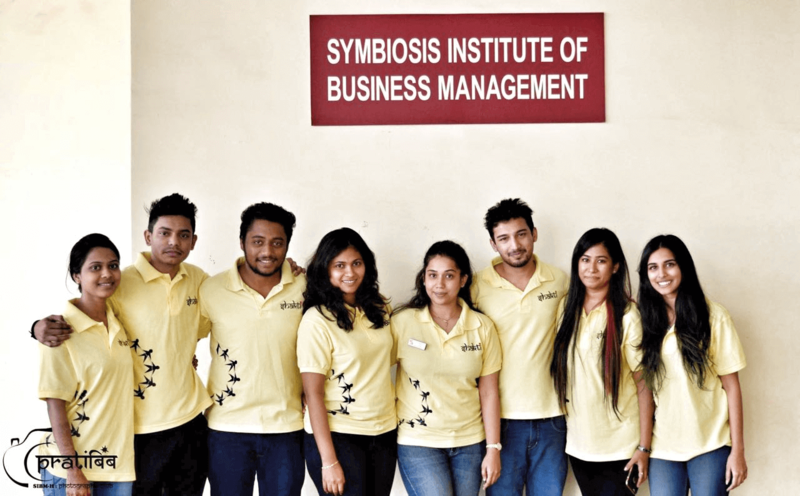 SIBM-Hyderabad strives to be a leader in anti-ragging campus, by providing proper assistance to the students of Symbiosis Hyderabad campus. To promote safety in the College at all levels and to ensure that appropriate communication between authorities and students. To request formal inspections in hostels in appropriate way and to receive reports of such inspection. 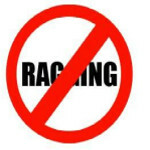 Make submissions and requests to management on Anti Ragging facilities. To establish a holistic approach to discipline by fostering the value of self-administration. To nurture an environment that is in accordance with the mission of our institute by maintaining decorum, dignity and harmony within the campus. Creating safe and motivating environment in our institution and to bring professionalism among students by inculcating best practices. To have optimistic approach in imparting discipline among students. Framing rules and regulations to maintain discipline in the academic premises. Encouraging Good and Healthy Practices. SCHC-Hyd is dedicated to helping students achieve and maintain healthy lives and restoring wellness/health to maximum attainable levels. SCHC-Hyd strives to be a leader in health care and service, by providing excellent medical assistance to the student of Symbiosis Hyderabad campus. To promote health and safety training in the College at all levels and to ensure that appropriate emergency procedures are in place. To request formal inspections of work places as the Committee think appropriate and to receive reports of such inspection. Make submissions and requests to management on Health and Safety matters that effect employees. Organise and conduct safety audits. Providing healthy and nutritious food to all the students and staff thus creating a feeling of home away from home. Students from all over the country are part of SIBM-H therefore the menu for all the meals of the day (breakfast, lunch, snacks, and dinner) are prepared after keeping in mind the interest of all. Mess Committee (MessComm) will always like to ensure that good quality food is served in the Mess. All the students should get well balanced diet in order to remain healthy and competitive. To provide healthy and nutritious food to all the students and staff. To make sure that the quality of the food is as per the standards prescribed by SIU. To make sure that the Mess environment is always hygienic. The priority of the cell, SHAKTI is on Women Education which again will pave way towards Women Entrepreneurship, which establishes Women Empowerment, as a complete individual, to support and enable a family, represent a community, society and as a successful citizen of our nation. 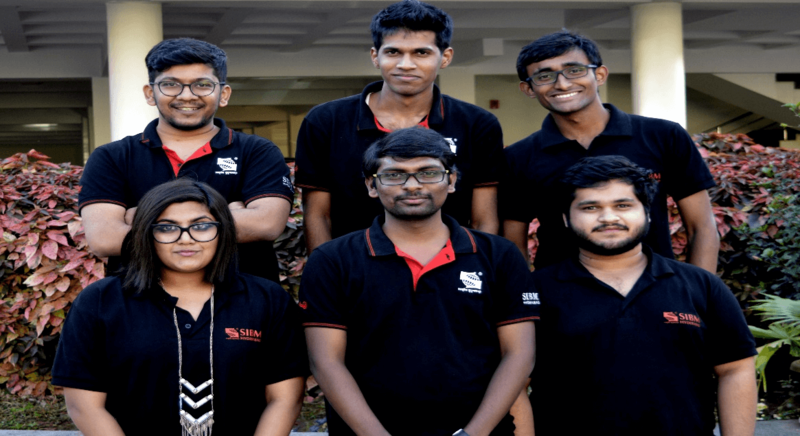 To create an environment that empowers women at SIU to take up challenging roles and contribute to the development of SIU as well as the society at large. 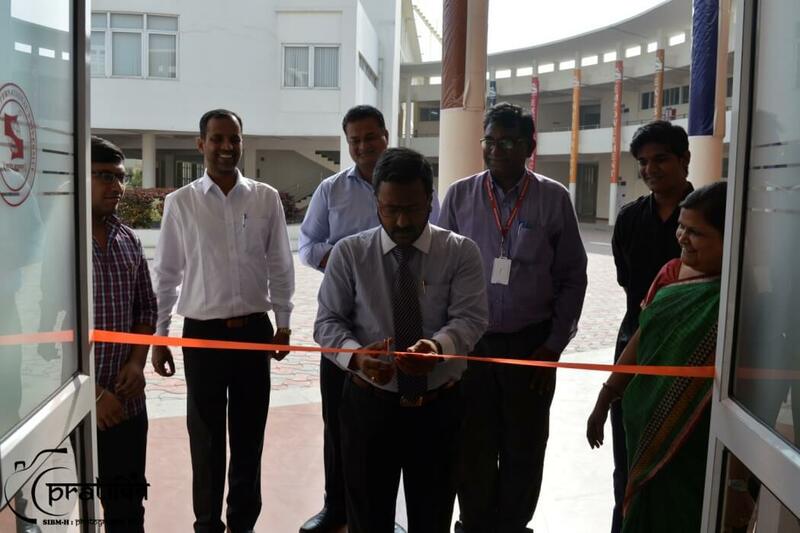 To create a sense of responsibility among students and have healthy study and work culture at SIU Hyderabad. 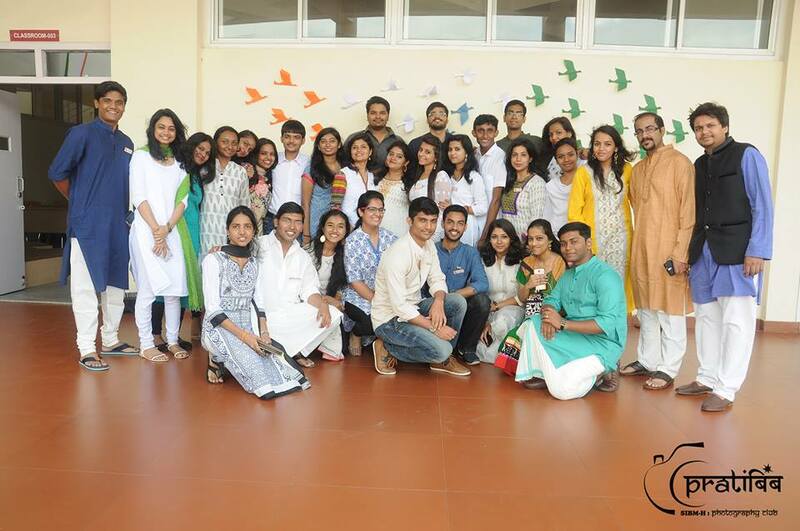 The Women Development Cell of SIBM –H organized the celebrations with the support of Organizing Committee, Graffiti team and Literature Club. The event started off at 3:00 pm in the SIBM - H auditorium. 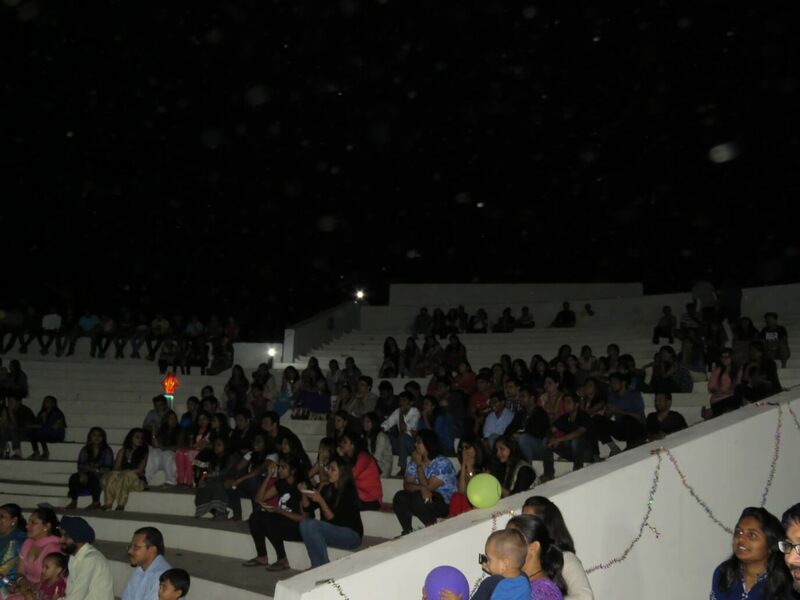 The evening witnessed a huge turnout of students at the amphitheatre who had gathered to watch a joint cultural performance which was presented by SIBM and SLS. The first performance was given by SIBM dramatics club which focused on disparity against women and women emancipation. 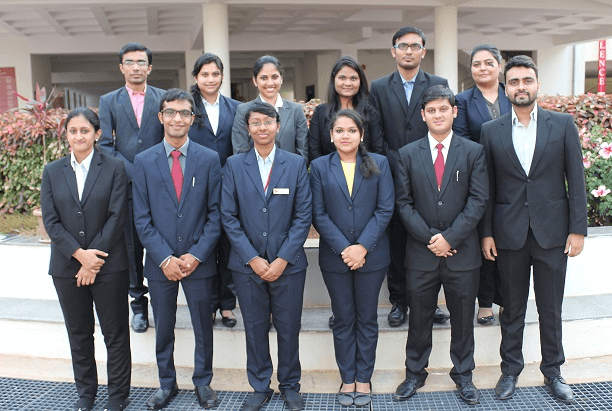 To add a tinge of humour to the proceedings, some students from SIBM took to stage and performed a mimicry of their class-mates which was appreciated by audience with lots of laughter and thunderous round applause. The last event for the evening was by SIBM which was a ramp walk with an ethnic theme. 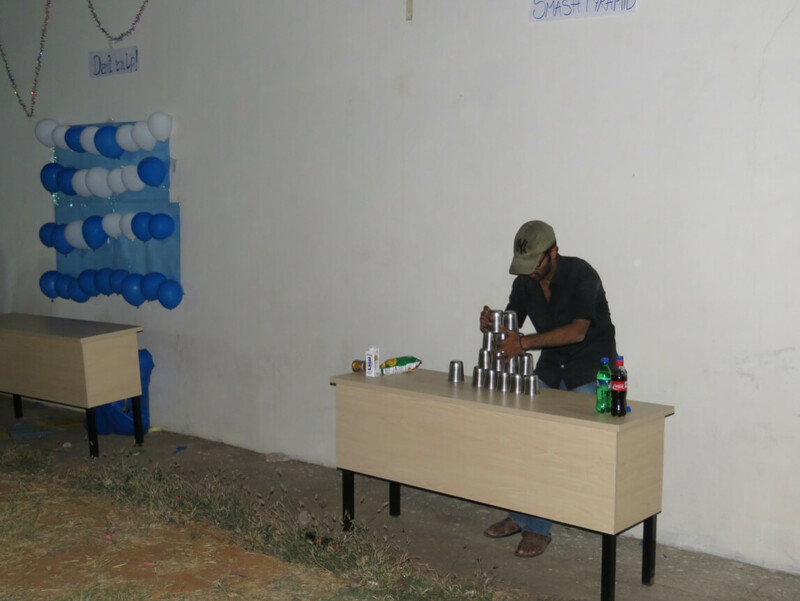 Special food stalls offering street styled Chaat and other varieties were arranged which was very much appreciated by the students and spread cheer among them as they relished the delicacies. Gaming corners were also setup which included simple games which were enjoyed by all. To make sure that the Learning and Resource Centre serves as a knowledge source for the students studying in the University. To bring in the best technology in the Learning and Resource Centre. To provide the students of SIBM-H a very comfortable reading environment. To make the SIBM-H Learning Resource Centre the best Library in the Country. To inculcate the passion for reading. Symbiosis Institute of Business Management-Hyderabad, was honored to have Dr. Radhakrishnan Pillai, the renowned Author of ‘Corporate Chanakya’ for the launch of his two new arrivals - “Katha Chanakya” by Jaico Publications and “Chanakya in Daily Life” by Rupa Publications. Dr. Radhakrishnan Pillai has done his PhD. in "Kautilya's Arthashastra", written around 2,400 years ago by Chanakya. He is a well-known Management speaker, Trainer, Author and a Consultant. It was a proud moment for BookSleuths – The Library Committee to host such an insightful event. ‘Katha Chanakya’ narrates tales from the great Acharya Chanakya’s life, and puts into modern context the policies and practices of India’s most strategic dreamer and thinker. The short stories in this book are all about the many lessons to be learnt from Chanakya’s life. On the other hand, ‘Chanakya in Daily Life’, covers topics outside one’s professional life and has a rather holistic approach towards helping the readers in tackling problems that they face in different phases of life. 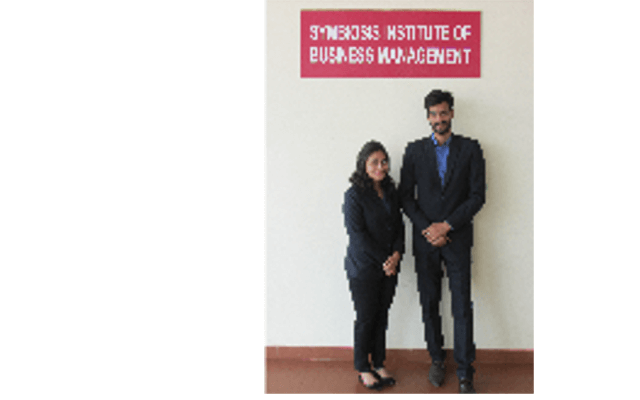 The Library Committee of Symbiosis Institute of Business Management - Hyderabad organized a workshop on CMIE Databases like Prowess, Economic Outlook and Industry Outlook. 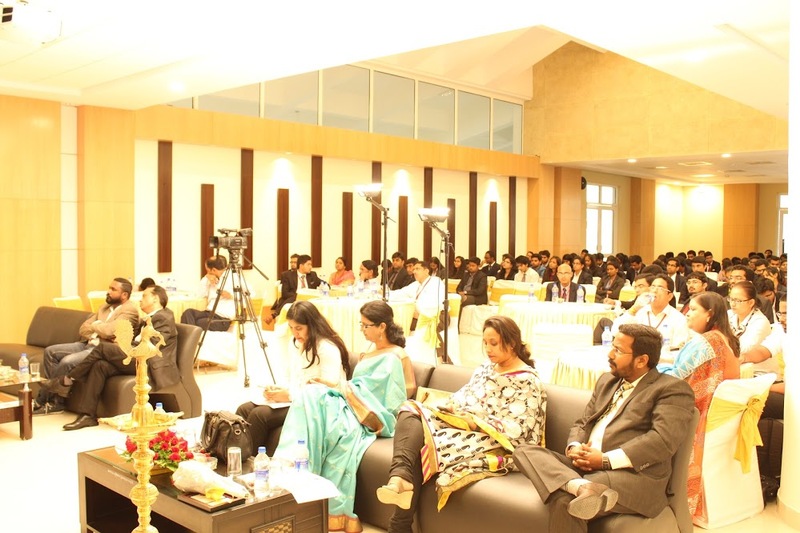 The workshop was conducted by Mr. Nikhil Sharma, Business Executive, CMIE– Mumbai and In-charge of Hyderabad region. He was highly co-operative to carve out time from his hectic schedule and come for taking the session. 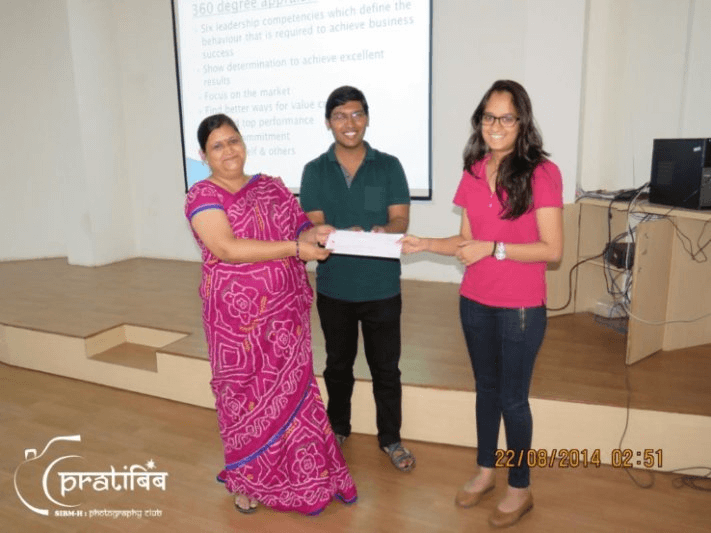 Book Review Competition was an event conducted by Booksleuths to recognize and appreciate talent of writing. Writing a book review is a beautiful art. The contestants were asked to select any book/novel of their choice and enroll themselves for the competition. 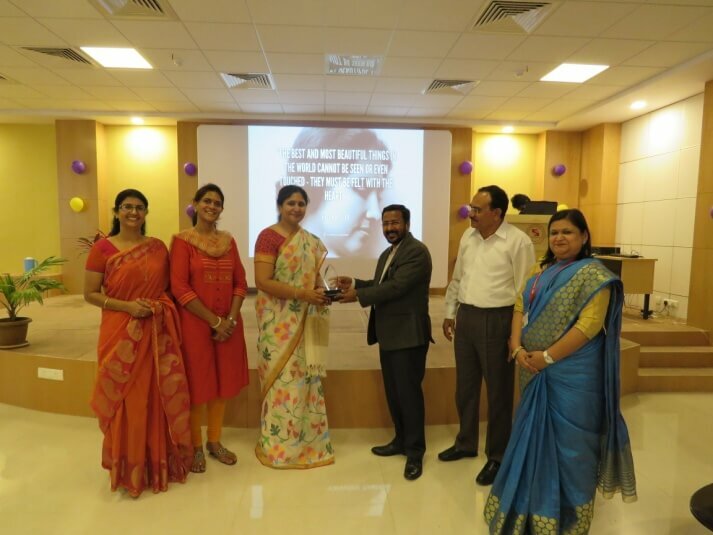 As a part of the National Library Week Celebrations, the Library Committee, Booksleuths, had conducted two main programs namely, a book exhibition and an interactive session with Mrs. Meera Shenoy a renowned Author and a Speaker. The Book exhibition was organized from 14th to 19th November 2016. It consisted of two sections – display of Academic books by Shah Book House and Fiction, Non Fiction and Best Sellers books by World Book Links. The exhibition had a humongous collection of more than Seven Thousand Books. On the 16th November, 2016, we were delighted by the visit of the famous Author, Mrs. Meera Shenoy the author of book “YOU CAN”. She is also a Social Entrepreneur and the founder of ‘youth4jobs’. The visit was followed by her interactive session with the students. She narrated her journey which was truly inspiring. She talked about how they had met success after encountering infinite number of hurdles. Her motivating success stories of some of the disabled persons for whom Youth4Jobs had been a path breaker for, had left a profound impact on the audience’s mind.